One of best tours I ever did. Probably it was not the tour itself (the service) but the experience as a whole. I love sports, but I am not the extreme type. This was outstanding and excelled the whole Turkish trip. The town name is Oludeniz, it is small and very pretty. I came here as part of a trip that began in Istambul and finished at Bodrum. 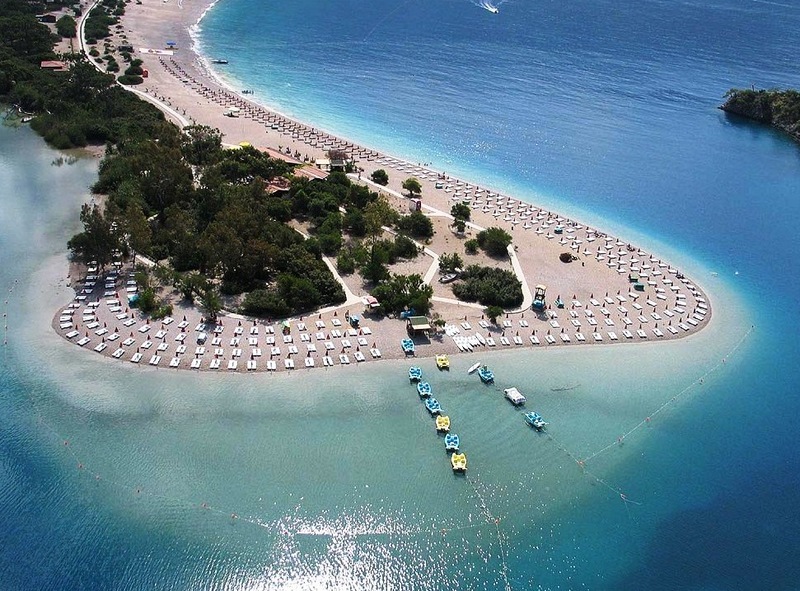 So I visited some of the best beaches in the country, including Antalya, Fethiye, Marmaris and Kaz. So you may want to check out those places if you are planning a trip around the area. It is famous for his beach Blue Lagoon. It used to be one of the best beaches in the world. It is still beautiful, but not at the top of the rankings anymore (better to find out yourself anyway). 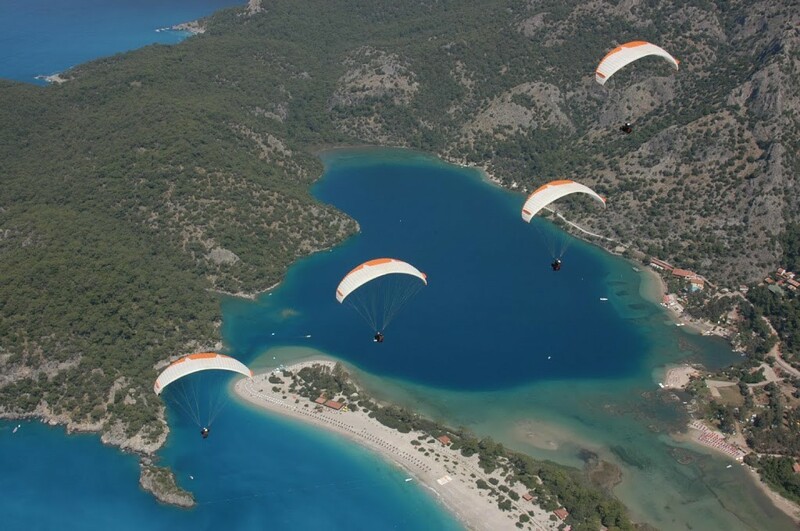 There are a few places where you can hire the paragliding tour. They are all at the end of the town (opposite the Blue Lagoon), in front of the sea. Prices are all the same, all around 70 dollars. This does not include the pictures and videos, which you have to arrange individually with your pilot (Tip: they will probably offer you to select some pics/videos, you should get all of them). All pilots bring GoPros so you will get your HD media at the end. Make sure you book an appointment in advance. We did it the same day early in the morning, and it was the last slot, so be careful with that. I would recommend getting the first (sunrise) or last (sunset) slot. The mountain is called Babadağ. It has a maximum elevation of 1,969 metres (6,460 ft). Its summit is only 5 km away from the sea, which makes it particularly adequate and popular for paragliding. You will find it listed in best places in the world for the sport (1, 2). The scariest part of the tour is the driving uphill in a van. Yes, it is true, I swear I am not the only one in this one (you can check the reviews on Tripadvisor). We know the driver does the same trip 6 times a day, by memory, but this does not help anyway. The mountain gets extremely steep, has no traffic/crash barriers at all, and the road is closed to the public so there is nothing around. The guy goes from one side to the other, turning the van centimetres before the cliff. However, it is not to scare you, overall it was exciting, a good introduction to the real stuff, part of the entertainment. We hired the tour with Re-Action, which is the last company in the row. My pilot was Barış Aksoy. He was very nice and took amazing videos and pictures. His “rollercoasters” were awesome as well. Normally you go down from 1700 metres, where the base is. In my case, Baris took me up to 2000m before going down. His coworker Deniz Minver did the same with my friend. You can choose your pilot when booking, so you may want to think about it first. Once you jump in the air, you can only enjoy a unique and unforgettable experience. It is hard to find the right adjectives. 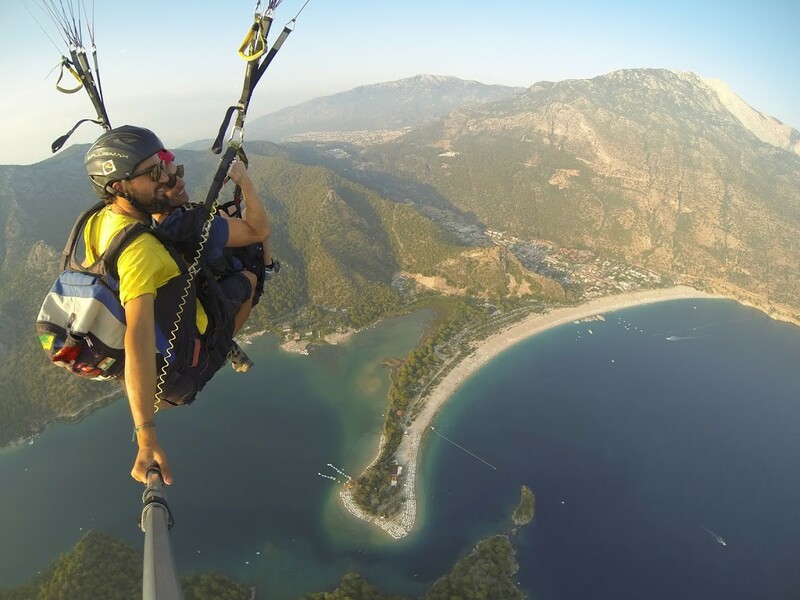 The view is stunning, you feel the sun and the breeze in your face… you are flying. They even let you drive. Almost at the end they may do some “rollercoasters/pirouette”, asking for permission first. Try to be as much relaxed as you can. You will make fun of yourself looking at the pictures later (the faces one can make in those situations are hilarious). Once over the solid and safe ground, you will probably still feel the adrenaline (and it will last some time). You should then go to get all your pictures and videos, and finally a fresh and cold Bomonti or Efes. And here is when you think “life does not get better than this”.